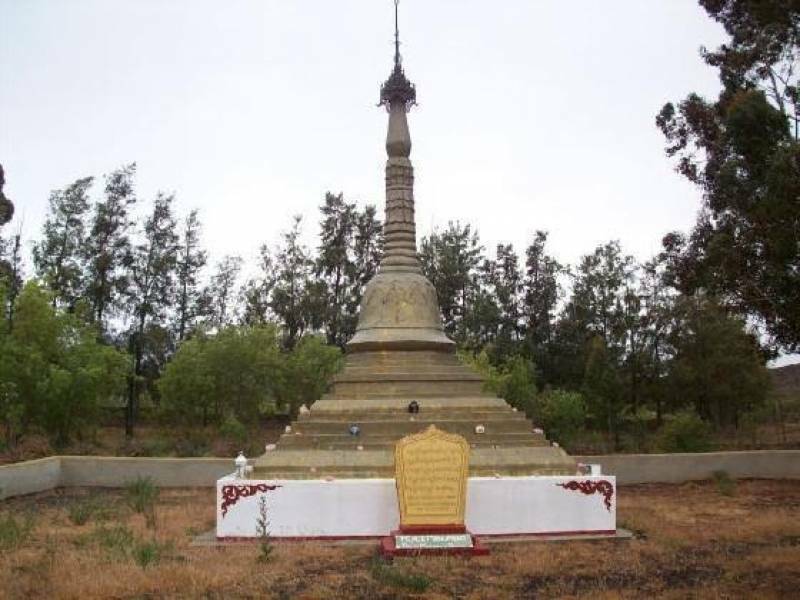 At sunrise on 7th December 2000 an eminent 90-year-old Burmese monk Sayadaw U Thila Wunta, consecrated the South African Peace Pagoda – gift he had long wanted to bestow on Africa, thus completing his dream and mission to promote peace and harmony in every continent of the world. Peter and Nola had been approached to provide space for the Peace Pagoda at The Manger, and the building of this seven-meter tall gold structure, crowned with a spherical crystal and copper umbrella, was achieved in three weeks by Sayadaw and three Burmese Monks, a team of twenty Canadians and several local people. The Manger is privileged to host the Labyrinth and South African Peace Pagoda, the Labyrinth helping create inner peace and harmony, and the Pagoda creating external Universal peace and harmony.